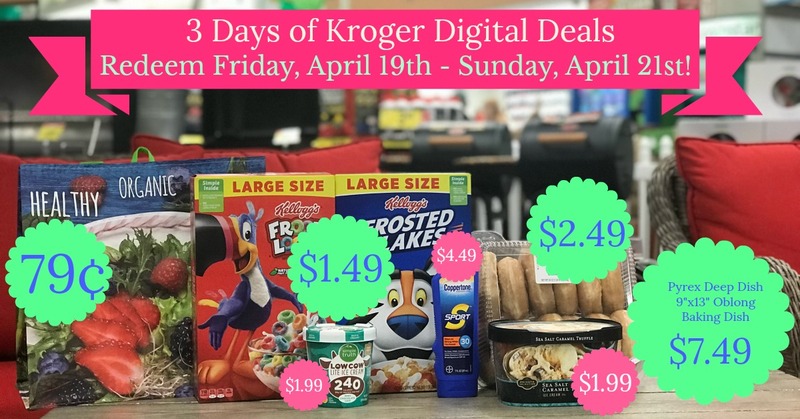 Who is ready to get some GREAT deals with our 3 Days of Digital Deals at Kroger? Head to Kroger from Friday to Sunday to use these coupons. I'll be reminding you daily but go ahead and get your head start on getting these downloaded. I am so excited about the the Kroger reusable shopping bags. We may need them pretty soon so get stocked UP! 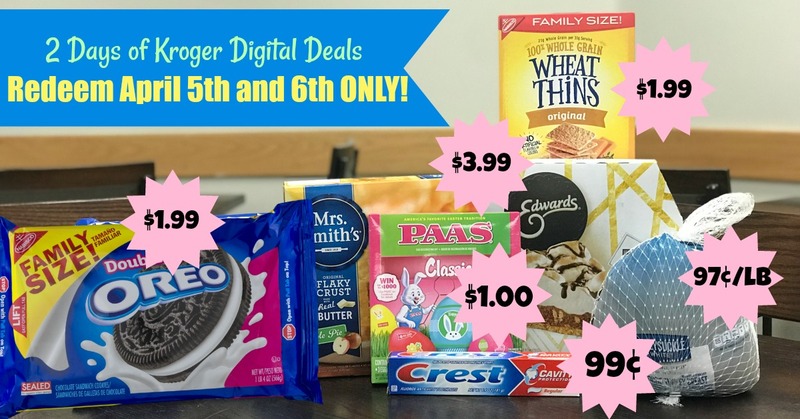 2 Days of Kroger Digital Deals. Redeem Friday and Saturday (4/12 - 4/13 ONLY)!! I hope you're loving these 2 Days of Digital Deals at Kroger as much as I am. Kroger is helping us get ready for Easter so be sure to download your coupons and head to Kroger on Friday and Saturday!! 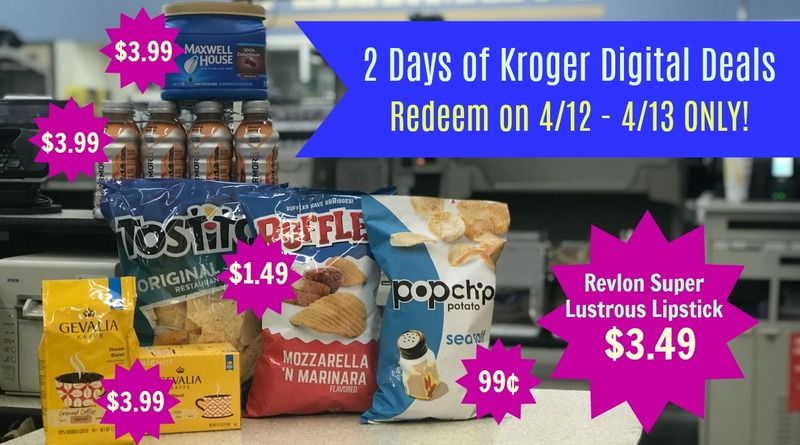 2 Days of Digital Deals at Kroger | Redeem April 5th and 6th ONLY!! 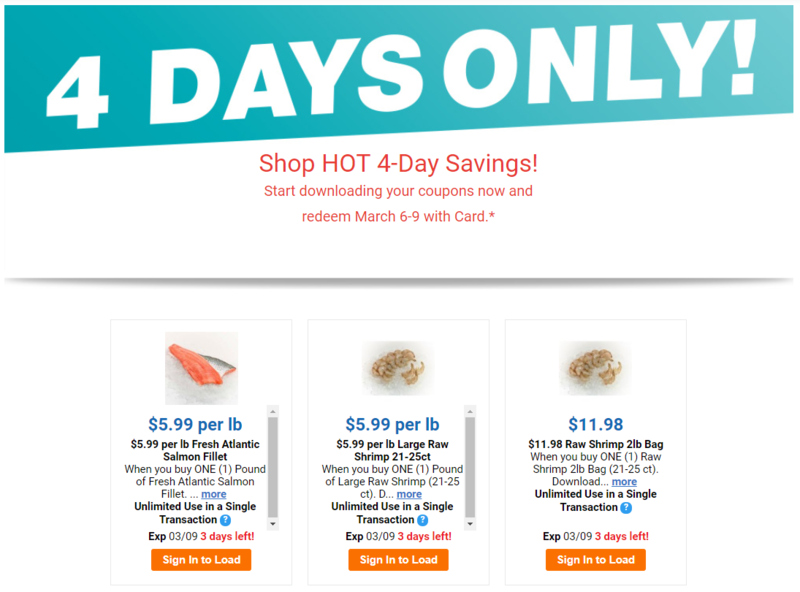 4-Days ONLY (Wed-Sat) | Kroger Digital Seafood Sale! 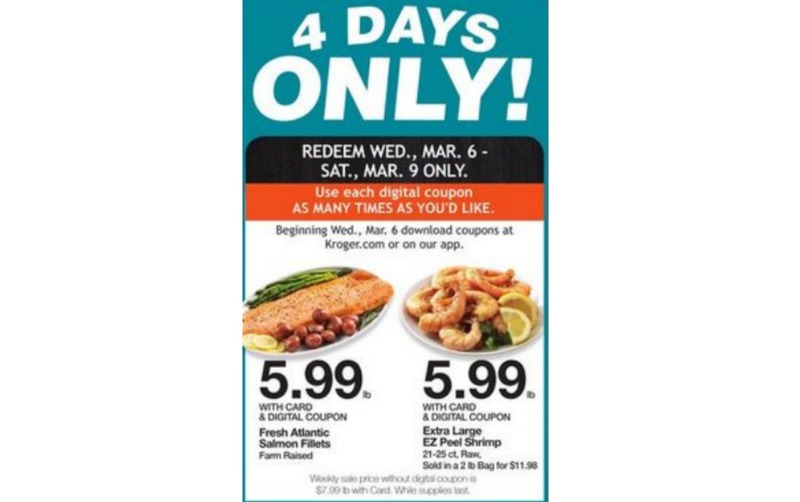 Just in time for Lent, Kroger is running a 4-Day Digital Coupon Seafood Sale! 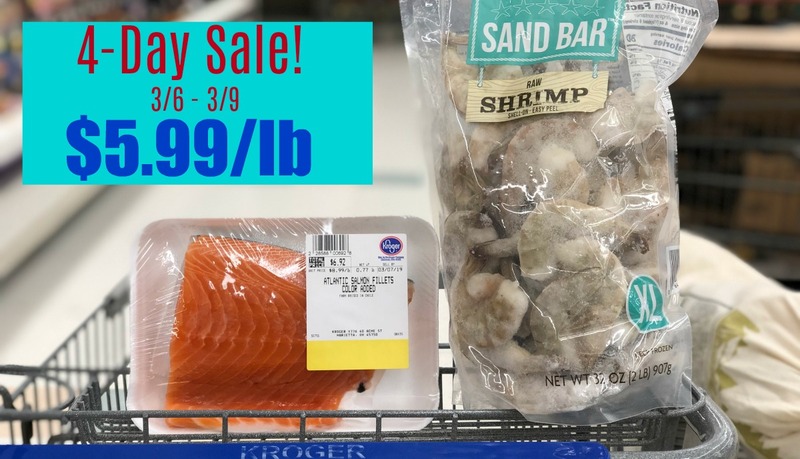 Beginning TODAY (Wednesday, March 6th) and running through Saturday, March 9, we can enjoy delicious shrimp and/or salmon at a SUPER price when you load your Kroger Digital Coupons. We’ll be paying JUST $5.99/lb for these items, so STOCK UP with these unlimited use coupons for the next 4 days!